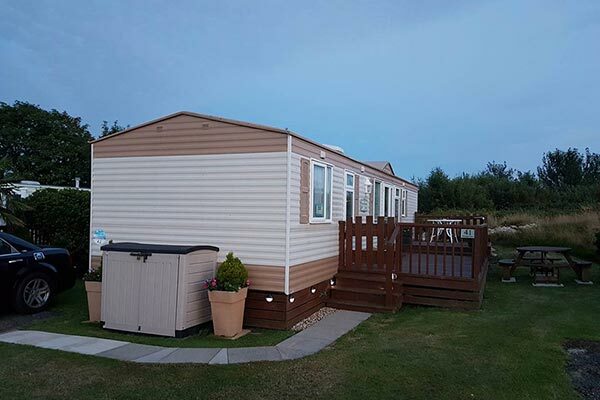 Hello, thanks for looking at our caravan. 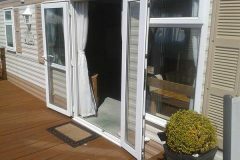 The caravan has double glazing and gas central heating throughout. 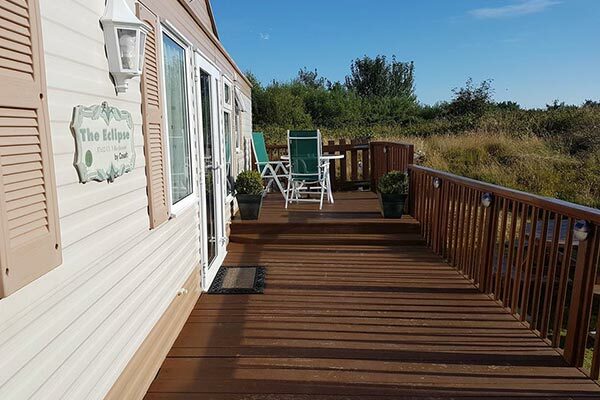 The caravan is situated on Mountain View with a large outside decking area with table and chairs for alfresco dining and a separate picnic table and grassed area for BBQ’s. 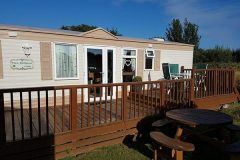 Mountain View is a quiet & secluded area with fantastic views & with parking next to the caravan. The caravan has a Hoover, ironing board and iron plus hairdryer in main bedroom. There is plenty to do for the children at Hafan Y Mor, there are 3 clubs on site, the main show bar has a variety of entertainment every night and various activities during the day to keep you entertained. 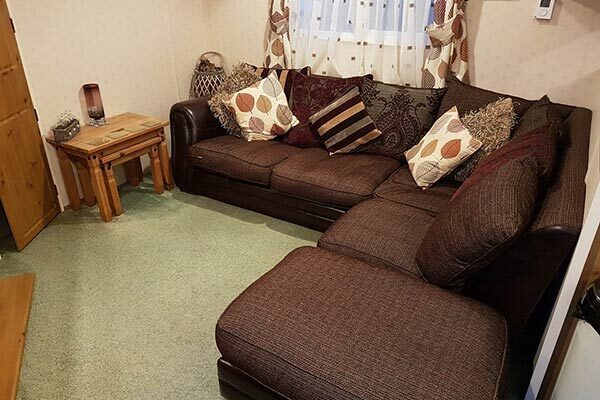 Spacious lounge with a brand new leather & fabric corner suite, 32" flat screen TV, radio, CD, DVD player. 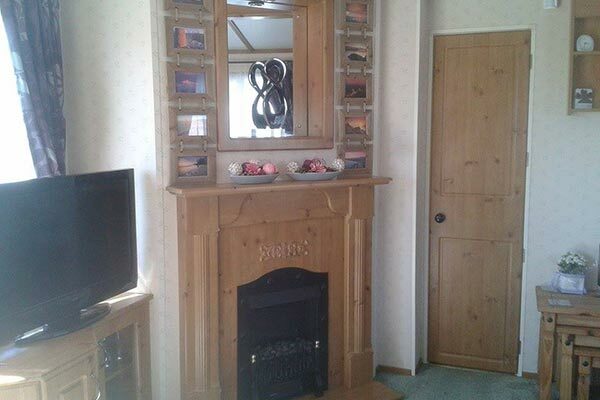 There is an electric fire and a dining suite. Modern kitchen with fridge & freezer, kettle, toaster, microwave, pots and pans and kitchen utensils. Main bedroom has a double bed, fitted wardrobe, a dressing table, hair dryer and TV. 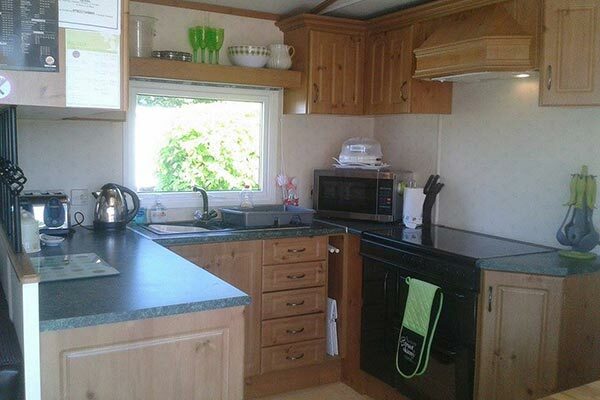 Adjoining is an en suite with a large shower cubicle, toilet, wash basin and radiator. 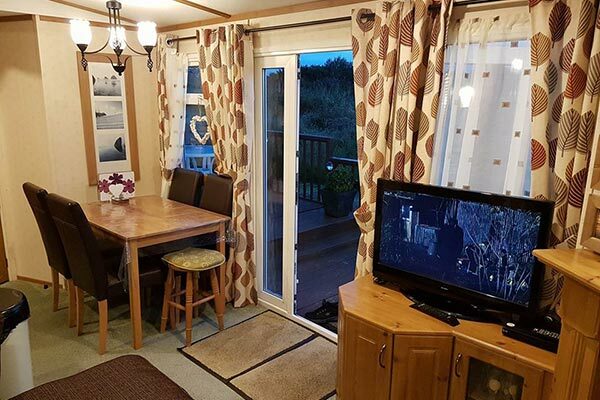 2 twin bedrooms at opposite end of caravan. The bedrooms have ample cupboard space and wardrobes in each one. En suite with a large shower cubicle, toilet, wash basin and radiator. 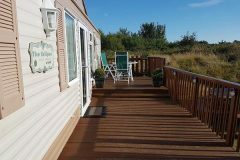 There is a second toilet located at the opposite end of the caravan next to the two twin rooms, this also has a shower & wash basin inside. 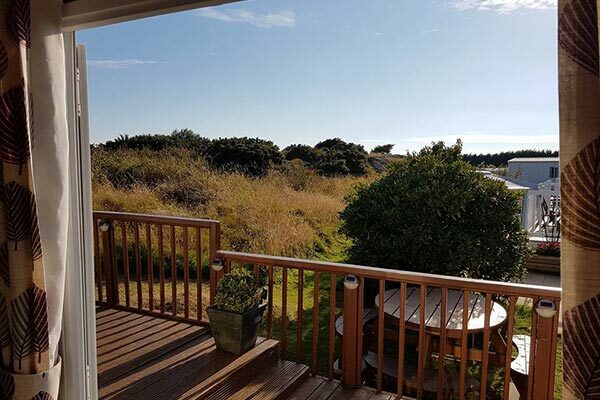 Outside there is a large decking area with fantastic views and table and chairs for alfresco dining plus a separate picnic table and grassed area for BBQ’s. 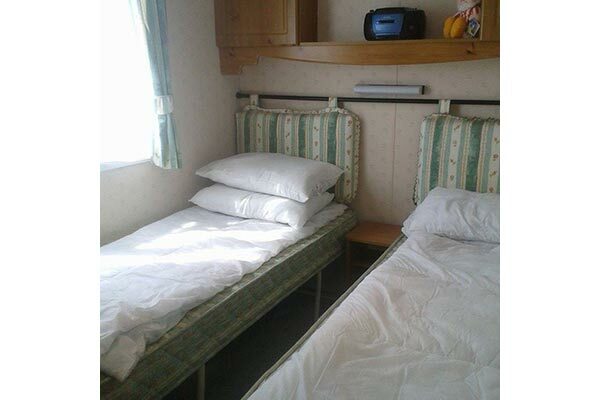 Quilts and pillows are also provided with the caravan so all you need to take with you is covers, sheets and pillow cases. Haven passes are not provided but they can be purchased at reception on your arrival. 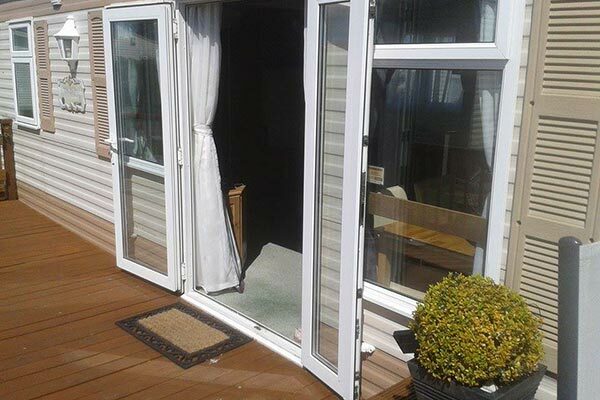 There is a £50 deposit to secure your booking this is non refundable, and a £75 refundable security deposit as long as nothing is missing or damaged. 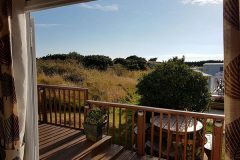 The rest of your payment is to be paid 6 weeks before your holiday commences.